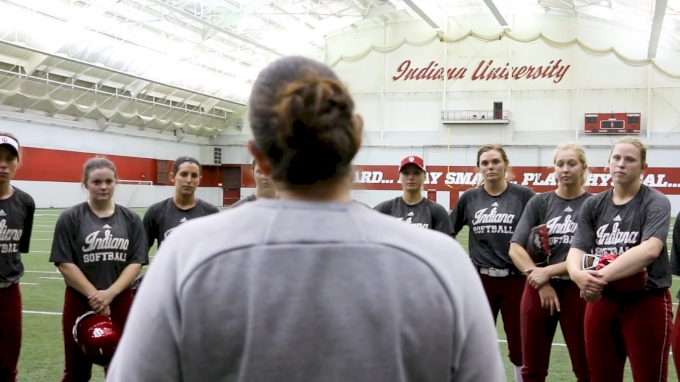 Dana Sorensen graduated from Stanford as a three-time All-American, four-time All Pac 10 player who led the Cardinals to two Women’s College World Series. She pursued a Master’s Degree in Exercise Sports Science at the University of North Carolina. During that time was named to the USA National Team and was a member of the Gold medal team. Sorensen spent several years coaching at the collegiate level at UC Davis and Oregon State. She is certified in Strength & Conditioning, Kettlebell, Functional Movement Screen, and Functional Movement Systems. Sorensen and Jono Green have teamed up to open Symbiotic Training to amateur and professional athletes. I think my biggest struggle when I tell people I work with softball pitchers, is hearing the common statement “the underhand motion is so natural, you guys can throw every game”. For far too long our sport has supported the idea that pitchers are immune from the dangers of overthrowing. If you are involved in softball at any level, you have probably witnessed a pitcher throw 1-2 games in a day, maybe even 4-5 games in a weekend. I am not going to argue that there aren’t certain times where it might be necessary to throw more than a normal amount with the exception of playoffs, championships, WCWS, you get the gist. We shouldn’t apply protocols for special circumstances to all situations. If you read my last article, I explained exactly why I think the underhand motion is overlooked in terms of the complexity of the task. We know that an underhand circle is far less strenuous on the shoulder joint than an overhand throw, but a shoulder isn’t the only joint moving in a pitching motion. For underhand motion pitchers, the sequence to deliver the ball requires a great deal of precise motor control of joints and the muscles that move them. Additionally, there is a significant amount of stability required in certain joints to create the necessary tension to transfer energy from the lower half to the upper body. Having the ability and stability to the position the body in a safe manner at front foot landing to create hip separation is essential to maximizing velocity and health of the pitcher. The fundamental pattern to create power and force in any rotational movement is creating torque through rotating hips separately from shoulder rotation. In underhand pitching that separation of hips and shoulders creates the whip action of the arm as it comes down to release, shoulders rotating after hip rotation creates this arm acceleration. Understanding this fundamental principle of sequencing in pitching explains just why throwing less may be far more advantageous and less dangerous to throwing more. The pitching motion takes on average about 1-2 seconds to complete (if we measure from the time initial arm swing begins). 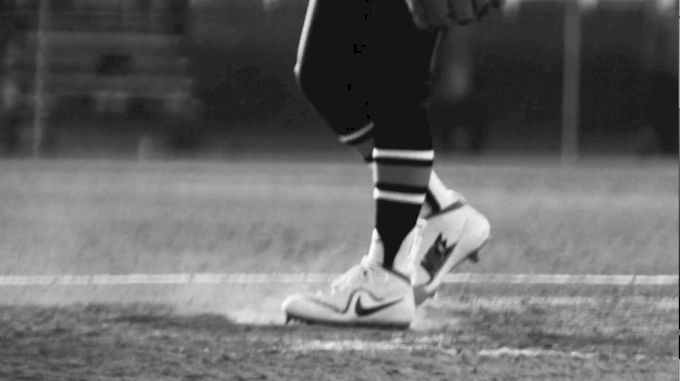 In that 1-2 seconds, the pitcher has to move through five different planes of movement, which means there is a very small window to execute each phase of the motion, down to .10 to .20 of a second for each plane of movement. Issues in pitching mechanics often come down to poor sequencing movements in the motion or delayed sequencing, phases of motion don’t happen at right time. One of the biggest culprits is the early rotation of shoulders or late rotation of hips; both of which will prevent any hip separation from occurring. If hip separation doesn’t begin to happen when the arm is somewhere close to an overhead position, the upper body will have to increase its workload to pull the arm through its downward path and through ball release. Delivering an efficient pitch with maximum velocity takes very precise control of joints moving (or not moving) at the exact moment of time in the motion that you want that movement to happen. Anecdotally, a well-executed pitching motion actually makes it very easy for a pitcher to control where the ball is thrown, it’s a poor execution of timing that leads to decreased velocity as well as a lack of control of the direction of the pitch. Given the precise timing of a pitching mechanics, it easier to understand how fatigue could be a major disrupter of sequencing the motion properly. Fatigued is far too often an overlooked cause of pitching mechanics break down and performance issues. We are all familiar with muscle fatigue: the feeling you have after lifting a heavy weight until you can’t lift it anymore, or cardiovascular fatigue: the feeling you have when you have run faster than normal for an extended period of time. We are so familiar with these types of fatigue that we base our perception of tiredness on these extreme feelings. With precise movement tasks, the issue isn’t muscle or cardiovascular fatigue, but rather Central Nervous System (CNS) fatigue. Your CNS is the control center for all movements in the body, it is the system center that sends out the messages to the muscles to move the joint. CNS fatigue is detrimental to executing precise tasks, delayed messages to move the muscles can affect that window of .10 to .20 seconds to execute each phase of the motion. If we are trying to practice exactly the right form, we want to make sure we have a fresh and ready central nervous system to ensure the right sequence of movements occurs. The challenge of monitoring CNS fatigue is that it isn’t an obvious feeling, as opposed to muscle or cardiovascular fatigue which are very easy to feel an exhausted sensation. A pitcher’s muscular strength endurance may be greater than their CNS capabilities. This is where I think we overextend the workload for our young pitchers, and where we actually end up doing more harm than good. When we throw our young pitchers beyond what their CNS can handle, we actually are developing them in the wrong direction. When they miss the precise window of when to rotate hips versus shoulder rotation, we end up teaching muscle memory of something we don’t ever want to do. A coach wouldn’t be surprised to see running form fall apart after running 100 sprints, it would be assumed that the athlete would be challenged to maintain good running form in those conditions. Why should it be any different for throwing a pitch? It’s the same process of executing precise joint movements in a very specific movement sequence. I think far too often we measure the ability to do something by the sheer fact that it has been done before. It’s become acceptable to most to throw 200 pitches in a game because we saw another pitcher do that and survive. The human body is unbelievably impressive, in that it will complete even the craziest of tasks, but that doesn’t mean it was done well or done without suffering some long-term consequences. Sure, many young pitchers can throw upwards of hundreds of pitches in a game, or maybe several hundred pitches in a weekend without suffering an acute injury (injured right there on the spot), but at what cost to the longer-term development of their mechanics. The brain has a unique ability to take the path of least resistance, so when it is allowed to move the body in a different way that is easier to execute, i.e. poor mechanics in CNS fatigue, it often times will revert to that movement pattern the next time the pitcher throws even if the pitcher is fresh and rested. Additionally, if we go beyond initial CNS fatigue and get into actual muscular fatigue, the repercussions can be much worse. We know how important it is to have stability where it’s needed, considering pitching is an extremely dynamic movement. If stability isn’t present where it needs to be, forces will be applied in an abnormal fashion to surrounding muscles and joints that aren’t designed to handle those increased forces. If a high-volume throwing day (or series of days) fatigues the rotator cuff muscles (one example) and enough recovery time is not factored in, the result might be a shoulder joint that has no ability to keep the ball in the socket and either a forward or superior translation of the joint occurs (think of the head of the humerus moving forward out of socket or up into bone of scapula). When the head of the humerus moves forward or superior it can cause any number of shoulder symptoms; pinching, tissue damage, muscle dysfunction, etc. The initial symptoms could be slight and easily overlooked or ignored by the athlete, but over time and increased reps could cause more serious damage leading to missed playing time, and more serious medical intervention (i.e. physical therapy, surgery). 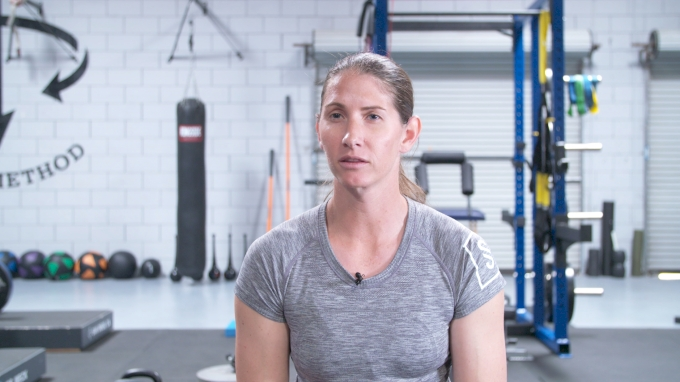 If you haven’t read Dr. Kaila Holz’s article, What You Should Know About Pitcher Shoulder Pain it’s absolutely worth the read, she goes into greater detail on the mechanics of the shoulder and how throwing can cause problems. I used the shoulder joint as one example, but muscle fatigue leading to a lack of control at any joint: neck, hips, backs, knees etc. could cause problems. If we want to help pitchers clean up their mechanics, and work toward throwing higher levels of velocity, we have to put some serious thought into how much we allow them to throw. We need to see the special circumstances of championship settings, like the Women’s College World Series or Premier Girls Fastpitch Championship Tournament and recognize that it is a very special situation and not apply the same standard to the regular season. It’s not uncommon in MLB postseason to see the best starting pitchers throw on shortened rest, or the best closers throw beyond their normal pitch count, but we certainly don’t see that during the 165-game regular season. Not to mention, the element of accumulation over the course of a season has a negative effect in poorly recovered athletes. We should apply the same rational thought to practice sessions. While games may require a pitcher to throw 80-100 pitches, that doesn’t mean we need to throw 100 pitches in any one bullpen session. We can throw at a much faster pace in the bullpen, throwing 3-5 pitches a minute, which can lead to more CNS fatigue because adequate recovery is not possible. The game does not allow for a fast pace, as there are natural breaks when balls are put in play, innings are changed, timeouts are called, etc. In a bullpen, we can easily crank out 100 pitches in 30 minutes and not realize we have exhausted our CNS and practiced bad habits. The younger and less experienced the pitcher the less volume they can effectively handle versus the more experienced fully developed pitcher. Assuming that throwing 100 pitches a day, or some other arbitrary number will automatically make every pitcher better can be detrimental to the health and performance of the pitchers. Lastly, we need to consider that not all pitchers have the same work capacity to throw tons of pitches. Hypermobile pitchers, who have extreme range of motion in their joints need more low volume work, learning to control the end range of their joint is necessary to learning how to produce force, while hypomobile pitchers have more mobility restrictions and may tolerate more pitching as they might gain some joint range of motion with more reps. Not all pitchers are built to handle the same volume; biological age, developmental age, and individual joint mobility are all factors to consider when looking at pitching volume capacity.